Once installed, the Liberator allows for easy, solder-free pickup swaps. The Seymour Duncan Liberator Solderless Potentiometer 250k is a solderless pickup change system. The volume potentiometer is the tone junction for your guitar's wiring. Swap it out for Liberator and you'll be able to quickly and easily change pickups for new tone, feel, responsiveness, and output. 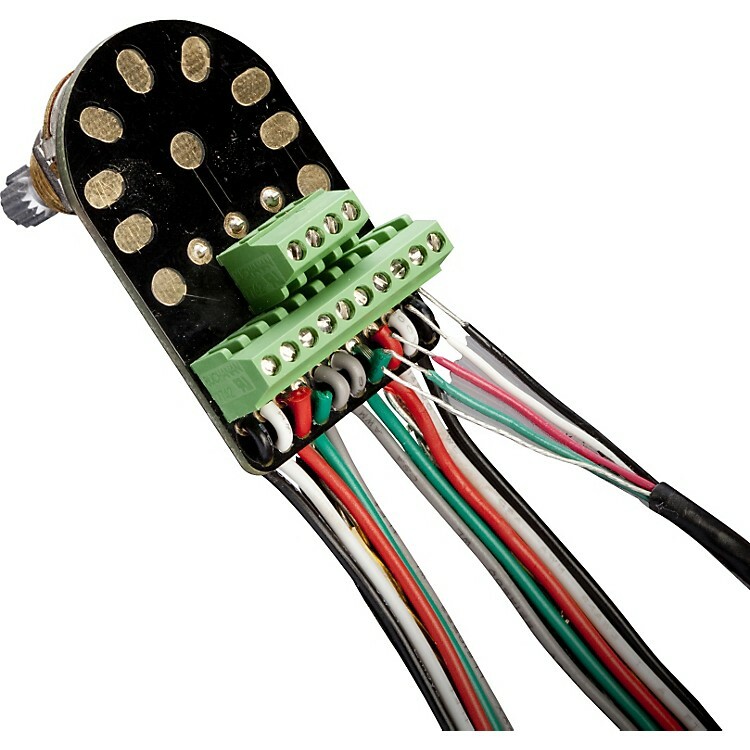 Liberator is an integrated quality volume pot and screw-clamp connector that accepts bare or tinned pickup leads for torqued-tight tone better than flimsy spring terminals or less-than-perfect solder connections. With a Liberator installed in place of a volume pot, changing pickups becomes fast, easy, and solder-free, but just as reliable. In fact, it's more reliable than a less-than-perfect solder joint. You simply insert the bare end of each pickup lead into one of Liberator's pickup connector stations and tighten the screw-clamp to lock it down. Turning the screw lifts up a carriage that locks the wire against a fixed pad, securing the connection in place. It's completely simple, and completely solid. For experienced guitar techs, Liberator makes pickup changes much faster and simpler, but with the solid, reliable connections of the Lockdown system. For those who have never soldered before, Liberator opens up a world of tone exploration. You'll be able to easily explore how different pickups change how your instrument sounds and responds in ways that will inspire your playing and enhance your personal voice. Liberator is like a studio patch bay, where connections that can be easily but securely exchanged up front correspond to hard-wired connections behind the scenes. There are two main parts to the Liberator System: the ten-station pickup connector, and four-station potentiometer connector. The wire colors adjacent to the pickup connector indicate which color wires you should install in each connector station. This is according to Seymour Duncan's wiring scheme for four-conductor humbuckers, but Liberator comes with a color-code guide for easily connecting other manufacturer's pickups. The potentiometer connector stations correspond to the three terminals on a potentiometer-in, out, and ground-plus an additional ground for bridges or tremolo systems. For those who prefer to solder, there are optional gold-plated solder pads adjacent to the potentiometer connector, plus seven gold-plated oval solder pads that go to ground. These pads are much easier to solder than the back of a potentiometer. For effortless pickup changes. Order today.